Imagine standing barefoot in champagne sand with the South Pacific sunset showering it’s light on you, while you declare your feelings for your special person. We specialize in small intimate beach weddings for couples eloping or choosing to have a special small ceremony whilst in the islands. If you would like further information or to see if we can accept your group and dates click here and give us some more information. • 15th January to 1st April * subject to availability. • 1st August to 15th September * subject to availability. • 15th October to 15th December * subject to availability. Rates are in Fijian dollars, and the prices include 15% Value Added Tax (VAT) and 5% Hotel Turnover Tax. Rates, taxes and offers are subject to change without notice. Photographers and Beauticians can be brought to the island from the mainland of Fiji, Please contact us for recommendations so we can put you in touch with them to liaise directly. Note: These services are not included in any package, and would be the sole responsibility of the bride and Groom. *Any extras such as music etc can be discussed with the island managers closer to the time of the wedding. The couple to be married will need an original or certified copy of their respective birth certificates, their passports and if previously married, either a Decree Nisi or a death certificate is required. Confirmatory letter on current status to be obtained from the Marriage Registry where the applicant resides or statutory declaration signed by a Justice of Peace or Notary Public or Solicitor to prove that he/she has not entered into a marriage before (this declaration applies to first or second marriage). Couples under 21 years of age are required to produce a consent document signed by a parent. Our team will guide you through this process and make sure all documents are received and processed as required. 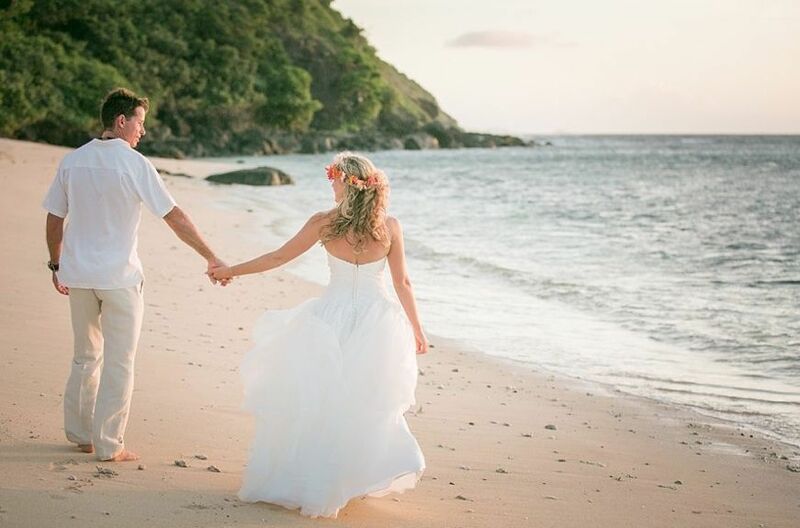 The Registration: It is now a requirement by Fijian law that the wedding couple must have a pre-arranged meeting with an officer of the law on the mainland of Fiji before travelling to your island resort. The officer is required to site your original copies of the notarized documents before they can issue your special license valid for 28 days. The license will then enable you to get married at the resort. In order to ensure your documents are correctly completed and all required documents are present you must submit these to your resort wedding coordinator at least two months prior to your arrival. Your resort wedding coordinator will be able to organise this meeting and advise you on the details when communicating with you prior to your wedding. You are required to have an overnight on the mainland, so you have time to obtain your license before travelling to the resort. 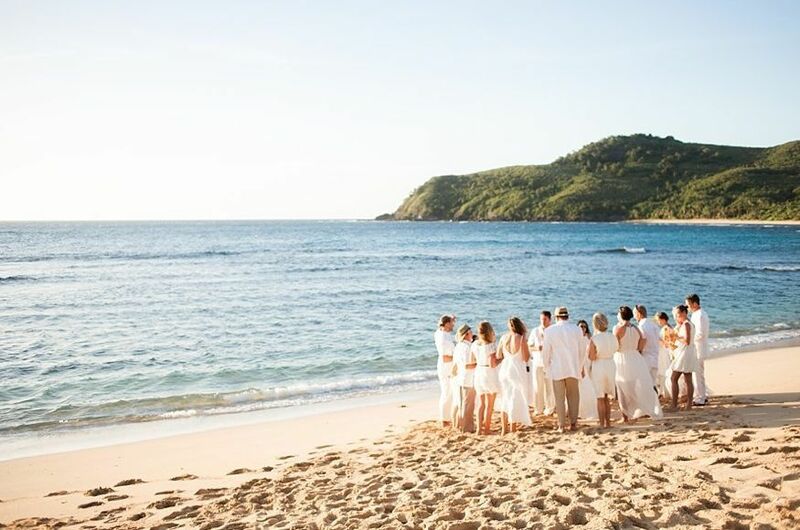 The Ceremony: The ceremony can be arranged at your choice of location within the resort or on the beach. This service is performed by our local Talatala (minister). These arrangements are to be made once you arrive at the island. What is the Next step? Once you have decided which option suits you best, you will have to decide on a date for the actual ceremony as the Minister will be required to approve of the arrangements and confirm your dates. Legally Binding ceremonies will involve more email communication with the resort.